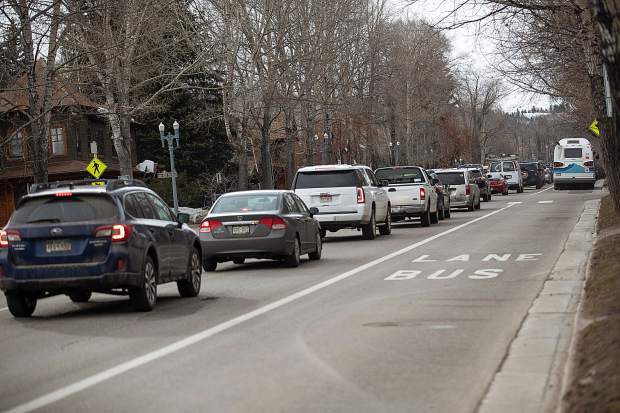 EAGLE COUNTY — This might be hard to believe, but the average peak-period travel time on eastbound Interstate 70 from Vail to C-470 on the west end of the Denver metropolitan area has actually declined. Sure, it’s not much of a decline, but according to the Colorado Department of Transportation, the average travel time on that stretch of highway in 2014 was 108 minutes. In 2017, that time had lessened to 96 minutes. The non-peak average is about 80 minutes. 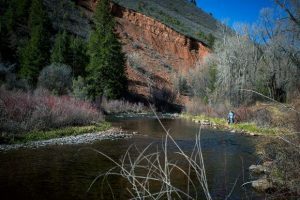 A big part of the credit goes to the eastbound toll lane through 13 miles of Clear Creek County, between Empire and just east of Idaho Springs ­— which is open only during peak travel times. That lane opened in December of 2015, the year peak-period travel times began to drop. 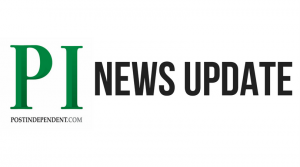 Margaret Bowes, executive director of the I-70 Coalition, a group of local government and business interests, said the toll lane has been proven to reduce travel times on the corridor. But, she added, there’s more at work. Most weekends, several thousand people check GoI70.com, the coalition’s travel-forecast website. Traffic to that site generally jumps when the weather changes, Bowes said. Bowes also noted there’s been a good bit of media exposure for the state’s website, CoTrip.org, as well as initiatives aimed at easing congestion on the corridor. CDOT has put a lot of time, effort and money into better managing traffic on the corridor, too, Bowes said. Patrick Chavez is CDOT’s corridor operations manager for I-70 between Vail and the Denver area. His office is in the Eisenhower-Johnson Memorial tunnels. Chavez’s job was created following perhaps the worst peak day on the corridor in February of 2014. 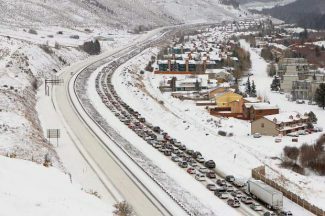 That day, a combination of a lot of snow, big traffic numbers and hundreds of ill-equipped motorists added hours to the Vail-to-Denver trip. After that incident, CDOT took a new look at traffic on the corridor. 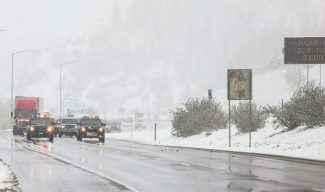 Chavez said over the past few years, the biggest thing put into place has been coordination and cooperation between CDOT and the Colorado State Patrol, as well as town and county police agencies along the corridor. The goal of that cooperation is to quickly clear road-closing incidents, no matter when they occur. Part of that quick response is a matter of having resources — from patrol cars to tow trucks — strategically positioned along the corridor. And, Chavez added, CDOT has started being more proactive about closing the road, with the idea that short closures can avoid longer ones. “In the past, there’d really been a tendency to let the road close itself,” Chavez said. Now, the road will close briefly, whether to allow police to clear an accident scene or to give plow drivers a chance to clear the road without the complication of truck and car traffic. Chavez said CDOT will also close the road farther back from where crews are working, with the idea that a handful of 1-mile lines of traffic clear more quickly than one 5-mile line. The result has been more highway closures, but fewer overall hours when the road is closed. For those traveling on busy winter weekends — or in summer, when more vehicles are on the corridor — Chavez had some advice for an easier trip. • Use the online resources from the state and the I-70 Coalition. • Make sure your vehicle — particularly its tires — is adequately equipped for the trip. 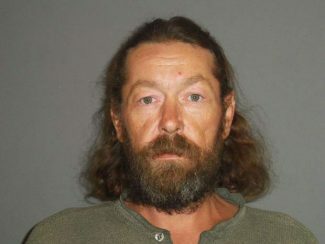 “The safety closures are there for a reason,” he said.